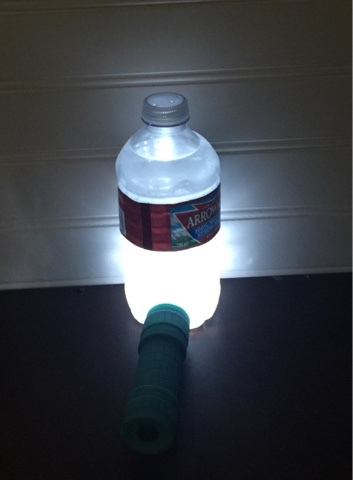 Quickie RV Nightlight- no battery drain! Anyone who's camped with kids knows that as soon as you think you know exactly what they like, those darn kids change things up on you! Yep, my kiddo who has previously insisted on total darkness for sleep, suddenly was afraid of the dark. So, in the middle of the night, while dry-camping (no hook-ups) in our RV, I "Macgyvered" a solution. 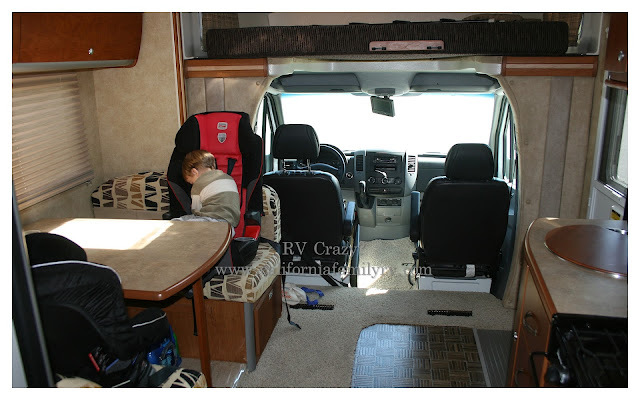 I didn't want to leave an RV light on all night, and drain our RV battery. 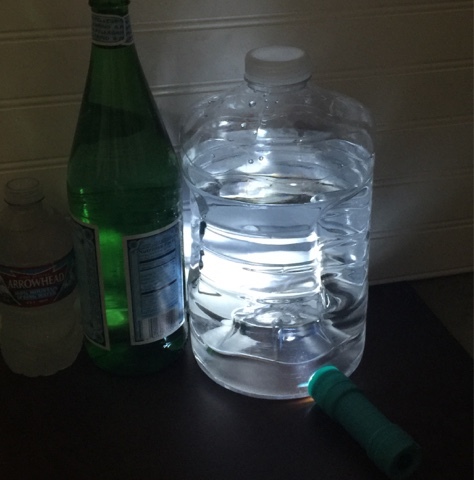 So, I found one of our little cheapo kid flashlights (about $1.99 at amazon, walmart, or target) and turned it on next to our water bottle. 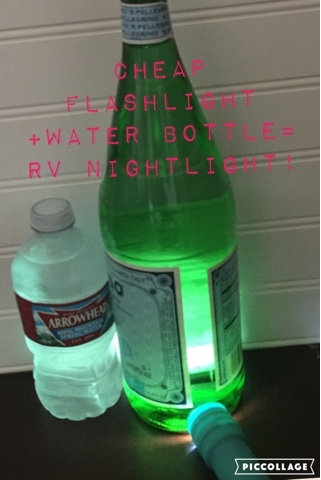 It illuminates the bottle and gives a cozy little glow in the RV. Not too bright for those of us that need to sleep in the dark, but bright enough for those who are a little scared of the dark. 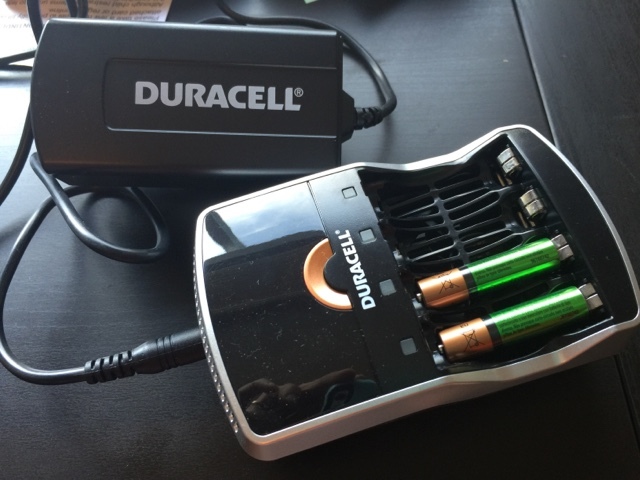 If you want to be even more conservative, you can buy one of these battery re-chargers, and use re-chargeable AA or AAA batteries for your mini flashlights. If you don't have a water bottle handy, wine bottles (yes, I have verified this one myself), beer bottles, or sparkling water bottles will work too.